What a strange twist, have you ever seen such a cool watch? Having this watch means you can empty out your pockets and leave that lighter at home, as one is built into the watch has one built-in. This zinc alloy quartz movement watch is made to last. Its water resistant and the lighter has an adjustable flame. This watch has an expensive and stylish look and feel and was made to last. 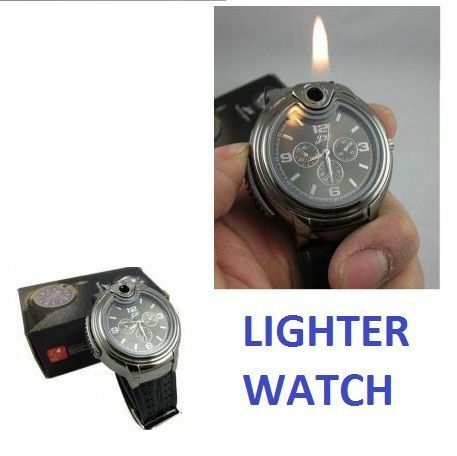 Works with ordinary lighter gas. Lighter gas(not included) required when you use it. Great cool wrist watch for daily use.